Our membership year begins February 1st and continues through January 31st of the following year. Members joining between February 1st and October 31st will receive all of the REO ECHOs for that year. Members joining after November 1st will receive membership through the following membership year. 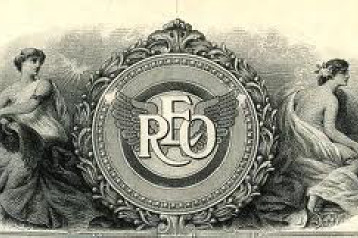 The REO Club of America offers two membership options; individual and family. The advantage of a family membership is two votes during elections. Memberships can be purchased with two different information delivery methods, paper mail or electronic. With a paper mail membership the REO Echo and Membership Directory are delivered by the postal service. With an electronic membership, the REO Echo is delivered by e-mail and the Membership Directory is available on line or at an additional cost for the printed version. Three year memberships receive a $10 discount, see below. Additionally, a Lifetime membership is available, subject to approval by the board of directors. Free classified advertising in the ECHO is available to members. A directory is provided, listing members by locations and vehicles owned. Members have access to a wealth of information regarding the vehicles and other items (mowers, snow blowers, etc) produced or powered by REO. A panel of Technical Advisors have volunteered to assist members by providing essential vehicle information, specifications and advice.